The Plan of Equal Opportunities is a document laying the guidelines and requirements for the promotion of equal opportunities. It also contains the rules and regulations to aid the implementation of the aforementioned guidelines and requirements. Its main principle is that it is every person’s inalienable right to receive equal treatment and not to be subject of direct or indirect discrimination. during their studies, students with disabilities may be provided with special devices to aid their learning process. The council of equal opportunities promotes Semmelweis University’s efforts in organising and coordinating activities related to equal opportunities and it also has two sub-councils dealing with individual issues of equal opportunities of students and staff. The aim of the university’s Code of Conduct is to set forth and describe those ethical standards that are essential for the university’s community, however they are not included in general ethical guidelines and codes of conduct referring to professions. Thus, it helps students and staff follow ethical standards, recognise ethical problems, find solutions and sanction non compliant behaviour. 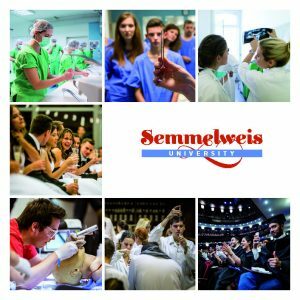 Semmelweis University strives to promote the creation and maintenance of trust which is inevitable in making its operation successful, high standard and respectful. The university’s Code of Conduct serves as a guideline for the general rules of conduct regarding university identity, education and university work. Besides defining proper behaviour it describes the prohibition of endangerment and the duty of protection. There is a separate chapter on respecting privacy and it also includes regulations on the evaluation of ethical complaints.